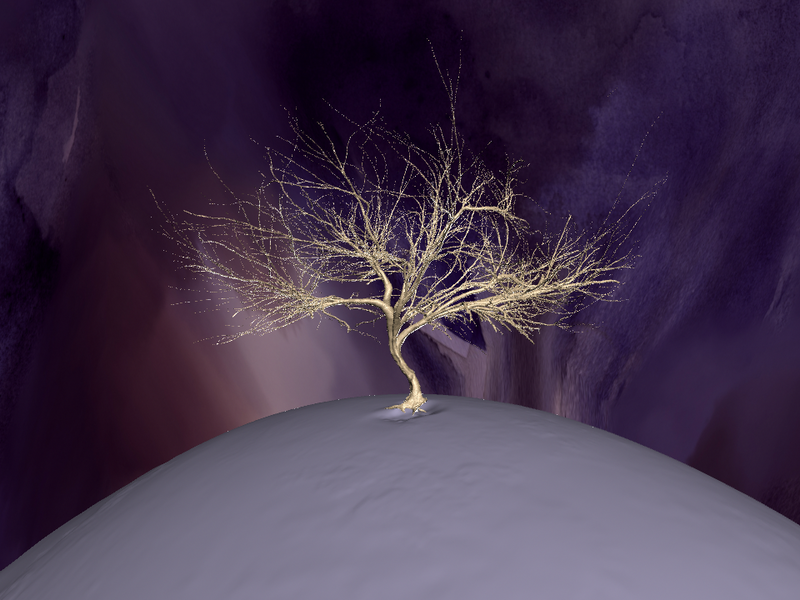 Final model for the world tree mesh for my team's Skoll animation. 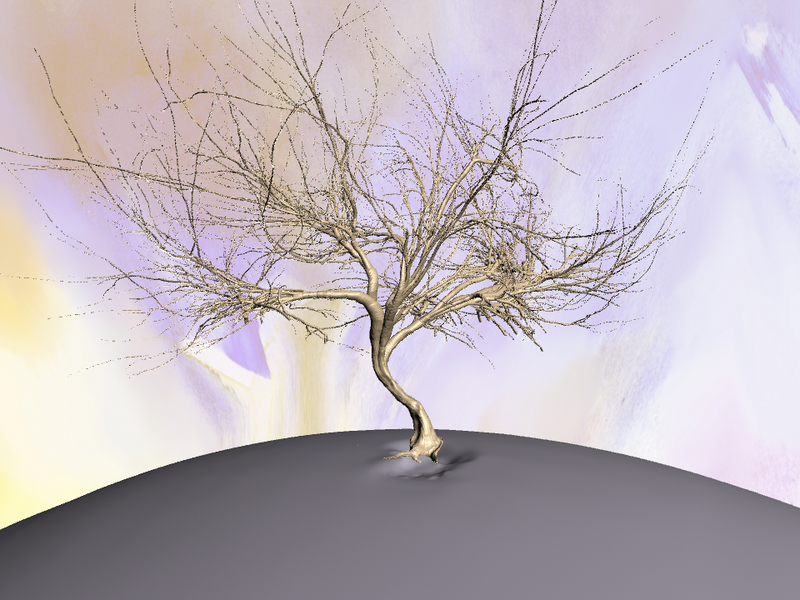 Paul mixed his marching cubes openframeworks tree generator with a bit of my code from the last post, and then I refined our final product in ZBrush. I love it.